Gus was a commissioned piece I did for a former co-worker... 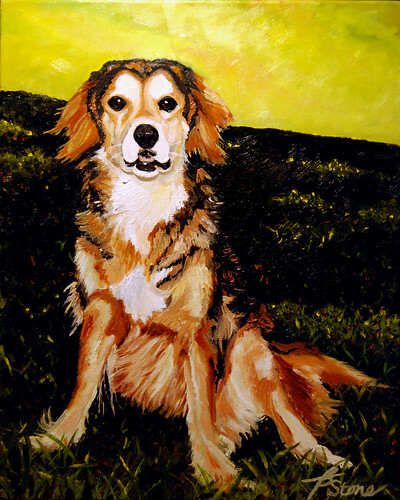 If you are interested in commissioning your own special portrait of your favorite furry friend, please contact me. That quote brought tears to my eyes... so true. I know there will be dogs in heaven... they are too awesome to be left behind. Sympathy to you from another dog lover.